Jim attended Rhema Bible Training Center and graduated in 1988. Immediately following graduation he joined the Rhema Singers and Band and traveled extensively with Rev. Kenneth E. Hagin for nearly seven years; during the last several years he had the management responsibility for the Group. 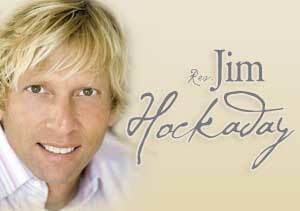 Jim was the coordinator of Prayer and Healing School for Kenneth Hagin Ministries, completing his tenth year in May 2004.